Supreme Court nominee Brett M. Kavanaugh will soon get a $5 million boost from two independent conservative groups devoted to supporting President Trump’s agenda, according to organizers of the effort. 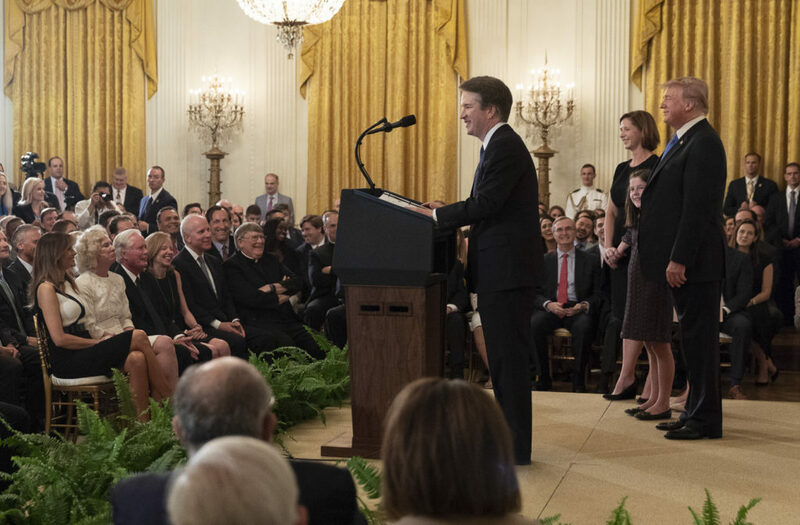 The focus is not just on influencing the confirmation votes in the Senate but on using the Supreme Court nomination battle to energize Trump supporters to turn out for Republican candidates in the fall elections. The groups plan to develop two sets of ads, with one targeting Democratic incumbent senators up for reelection in Florida, Wisconsin, Missouri and Montana, who voted against Trump’s last nominee to the high court, Neil M. Gorsuch. The second set will target the three Democrats who voted for Gorsuch — Heidi Heitkamp (N.D.), Joe Donnelly (Ind.) and Joe Manchin III (W.Va.). Great America groups spent about $3 million on ads and direct mail during the Gorsuch fight, said Eric Beach, who runs the groups with Rollins. The two groups are also planning a bus tour in mid-September to support Kavanaugh in all of the states, with the exception of Montana. Organizers are asking three veterans of other Great America bus tours, former Alaska governor Sarah Palin, actor Jon Voight and Fox News pundit Tomi Lahren, to return as draws for the grass-roots effort but have not yet confirmed their participation. The groups sent Palin to Alabama last year to support Republican Senate candidate Roy Moore. “Getting the band back together again is a good way to put it,” Beach said. A liberal group, Demand Justice, has promised its own $5 million ad campaign to defeat Kavanaugh, focused on Democratic senators from Indiana, North Dakota and West Virginia and Republicans from Maine and Alaska.